Stainless steel cartridges are designed to overcome the temperature and chemical compatibility limitations of fabric or synthetic fiber media. This will offer very high temperature resistance & can withstand high differential pressure. Stainless steel cartridges are offered in SS 304/SS 316 materials. 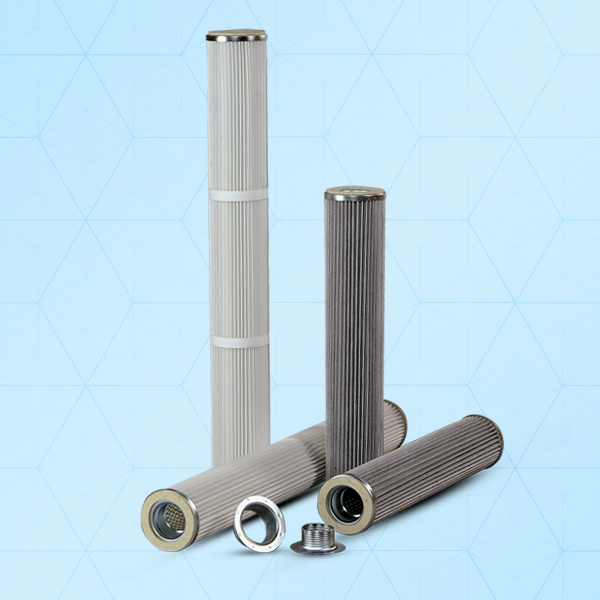 These elements can be plain cylindrical or in pleated configuration to increase filtration area. Normally all stainless steel pleated supported with coarser filter media to ensure no direct damages to main filtering media under process upsets. These elements can be back washed & reused. Better for ltering the liquid with high viscosity of food and beverage.